The project was intended to implement five sewage treatment plants at different locations in Jeddah. These plants serve a population of 500,000 on a temporary basis pending the construction of a main treatment facility to replace the overloaded existing plant. 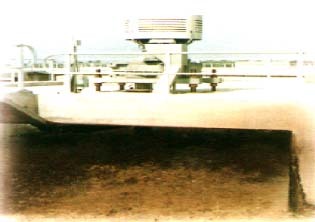 Activated sludge process with aeration to remove carbonaceous matter. Mechanical treatment of sludge which comprises sludge feeding, chemical feeding for sludge conditioning, belt filter presses and treated sludge loading and hauling facilities. Comminutor/bar screen chambers, gas chlorination equipment. Internal piping, diffusers, sludge collection mechanism, sludge and scum airlifts, and aeration blowers. Access bridges and service walkways, internal piping and flow measuring devices. ACE assisted the Saudi Arabian Electro-Mechanical Company (SAEMCO) in providing the engineering services required by the turn-key terms of contract. The services included topographic surveys, soil investigations, site planning, design, and technical specifications and bills of quantities. Establishing the most economical process for the mechanical treatment of sludge. Equipment sizing, design and performance requirements. Coordination, planning and design of site work at all 5 plants, including yard piping, electrical systems, foundation designs, control and laboratory buildings, influent piping to wetwells, standby generator buildings and installations. Continuous technical support during project execution.